The trademarks and logos shown on WIFFLE® products belong the respective trademark owners. This does not imply that the owners of the logos or trademarks endorse the products. 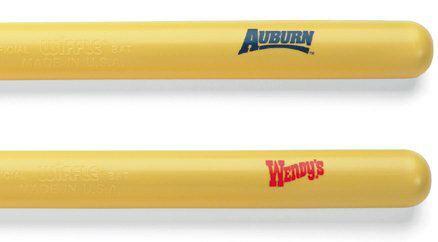 WIFFLE products with corporate logos or trademarks are shown only to illustrate imprinting capabilities. Merchandise bearing logos or trademarks can be purchased only by the organization to which the logos or trademarks belong through an authorized WIFFLE distributor.